Asbestos has been in the news a lot recently as workers exposed decades ago to this hazardous material battle with cancer and pursue multi-million dollar settlements against their former employers. Though we may tend to think of asbestos exposure as a modern phenomenon, in reality asbestos has been sickening people for thousands of years. Asbestos is a naturally-occurring mineral found on every continent in the world, so it’s not particularly surprising that many ancient cultures discovered and used it. The earliest known use of asbestos fibers was for lamp and candle wicks in around 4,000 BC. 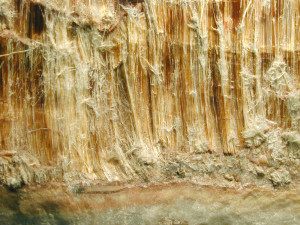 Asbestos fibers were also found in Finnish pottery from 2,500 BC, and Greek and Roman writers described fire-resistant cloth made from woven asbestos fibers. Asbestos cloth continued to be made and used throughout Europe, Russia, and China throughout the Middle Ages and into the 18th century. It was mined by hand by men and then spun into threads by women and children. Clothing containing asbestos was common and at one point Italy’s banknotes even contained asbestos. Asbestos use really began to take off with the dawn of the Industrial Revolution which brought improved mining techniques as well as new applications for asbestos. The chemical-, water-, electricity-, and fire-resistant material made an excellent insulator for steam engines, generators, wiring, and other new technologies of the period. 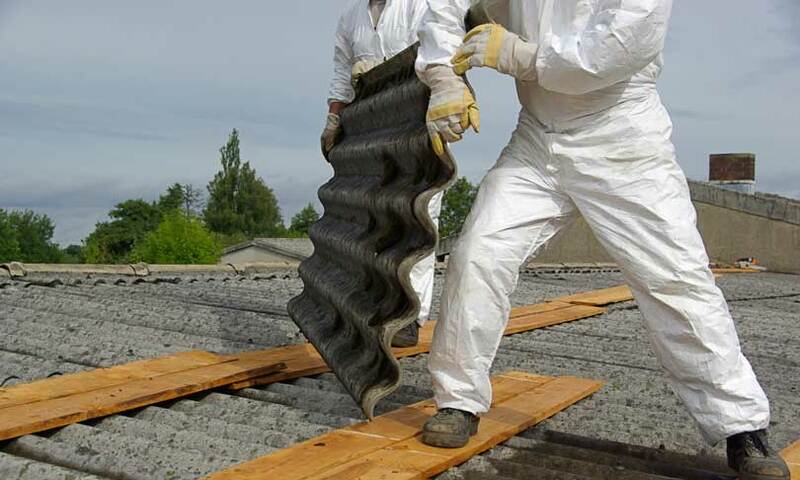 Asbestos was soon a common component in the building materials used in homes and businesses, and remained extremely popular until the late 1970s when the EPA took steps to ban its use and the public finally began to realize the dangers of asbestos. In reality, the dangers of asbestos have been known since the very beginning. The Greeks noted that slaves who worked with asbestos developed a “sickness of the lungs” and Roman historian Pliny the Elder recorded the fact that miners were using a primitive sort of respirator made from a sheep’s bladder in an attempt to protect themselves. In terms of modern medicine, the first illness known to be attributed to asbestos was diagnosed in 1897, and in 1898 a report described widespread lung damage among workers in an English asbestos mill. In 1906 a London physician recorded the first documented death of an asbestos worker. The man suffered from pulmonary failure and an autopsy revealed his lungs were filled with asbestos fibers. By 1908, insurance companies were increasing premiums and decreasing coverage for asbestos workers. Yet due to the high demand for asbestos-containing materials and the strength of the asbestos industry, little was done with this knowledge for decades. Today of course the dangers of asbestos are fully known and we have robust safety protocols for working with and disposing of asbestos-containing materials. If you are concerned about asbestos contamination on your property, AQHI Inc. can provide comprehensive asbestos remediation services to remove the asbestos fibers and leave the site clean and compliant with all relevant asbestos regulations.